October 23 -Ã‚Â Obtained Andy Brickley, Ron Flockhart, Mark Taylor and a first round choice in the 1984 Entry Draft from Philadelphia for Rich Sutter and second and third round choices in the 1984 Entry Draft. December 5 -Ã‚Â Obtained Tom Roulston from Edmonton for Kevin McClelland and a sixth round choice in the 1984 Entry Draft. January 26 -Ã‚Â Obtained Kevin McCarthy from Vancouver for a third round choice in the 1984 Entry Draft. March 5 -Ã‚Â Obtained Moe Mantha and a first round choice in the 1984 Entry Draft from Winnipeg for Randy Carlyle. • Ed Johnston became the General Manager on May 27, 1983. • Lou Angotti was named head coach on July 20, 1983. • On February 29, Darren Lowe became the first African American to play for the Penguins. • Penguins finished 16-58-6 for 38 points, their worst ever and worst overall record in the NHL. 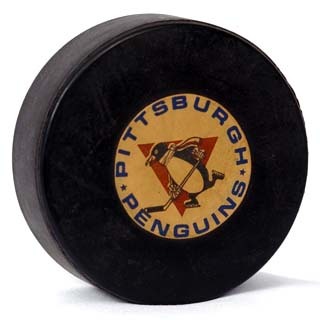 • Mike Bullard became the fourth player in Penguins’ history to score 50 goals. • Jim Hamilton becomes the first Penguins player to wear #13.